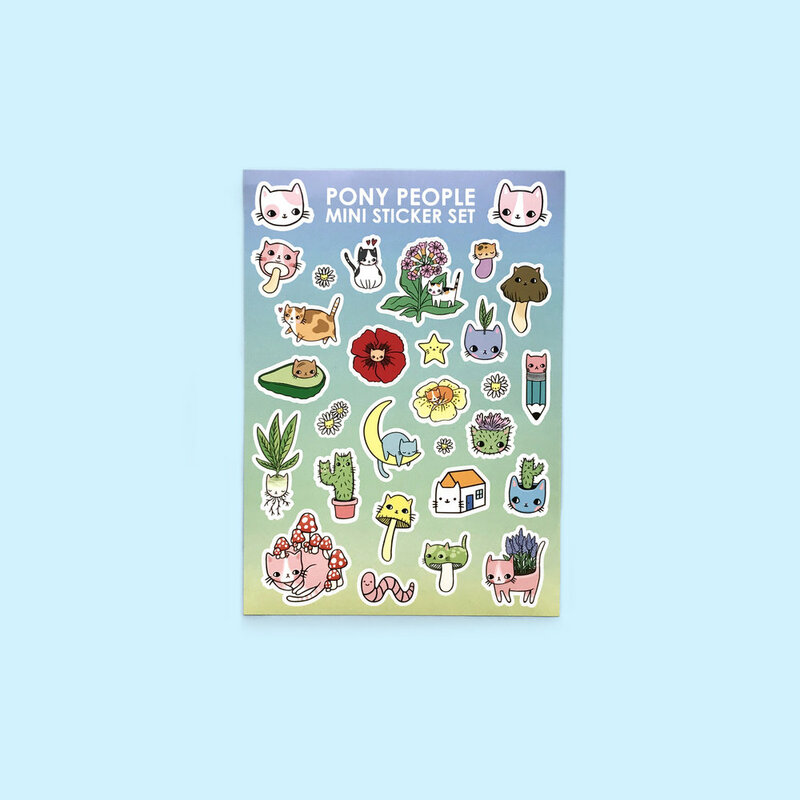 Pony People is the brain child of Anne Knispel, who lived in the Netherlands with her cats, plants, and boyfriend. Her work is largely inspired by cats and plants, which she transforms into jewelry, paper products, and other fun items. She also enjoying biking, sewing, taking pictures, reading, thrifting, and mushrooming.